Whether it’s for the satisfaction of personal improvement, the financial security of seeking out a path to career advancement or mandatory learning to maintain a license or certificate, continuing education has become a necessary part of professional growth. While continuing education can provide long-term career rewards, it can also result in immediate benefits by providing professional development and training opportunities. With literally thousands of courses available across a wide variety of subjects – ranging from workshops and certificate programs to ongoing courses – participants can also earn college credit while strengthening their educational base. Continuing education students at Northeast Catholic College aren’t required to be part of a degree program, and can take advantage of a streamlined application process, Moffett says. The bottom line, according to experts, is that continuing education can not only provide an opportunity for potential advancement, it can ensure a secure base for career progression. And the best part is that students don’t need to be enrolled in a degree program to benefit. Northeast Catholic College is currently in the process of researching and building an infrastructure that will help it provide online options for a continuing education curriculum, Moffett says. Certain professions require continuing education in order to comply with laws and regulations. It can be the difference between remaining licensed or maintaining certification and falling behind. Nurses, accountants, teachers, real estate agents and pharmacists are often required to build upon their education in order to keep up with new technologies, regulations and constantly-evolving environments. The Boston-based MCPHS University (formerly Massachusetts College of Pharmacy and Health Sciences), which has a campus at 1260 Elm St. in Manchester, has a thriving continuing education program that offers both in-classroom and online options. The number of hours necessary to maintain a license depends on a student’s discipline and state, but pharmacists licensed in NH are required to earn a minimum of 1.5 Continuing Education Units, or 15 hours, each year. At least five of those hours must be in a live setting, according to the state Board of Pharmacists. Annually, the MCPHS University’s continuing education program involves approximately 2,000 live activity participants and more than 4,000 online participants. MCPHS University alumni represent a significant constituency of the program, making up an average of 68 percent of participants. Other professionals are welcome and make up 30 percent of participants, according to Makar. “For over 25 years, the university’s continuing education program has fostered continued professional development by offering a variety of live conferences and online on-demand educational activities with the goal of enhancing knowledge, improving competence and promoting lifelong learning to positively impact patient outcomes,” she says. Flexibility also remains one of the benefits – and the hallmarks – of pursing continuing education. Granite State College, which offers a diverse roster of options, features regional campuses in Claremont, Concord, Conway, Manchester, Rochester and Portsmouth – making accessing in-classroom sessions easier. Campuses in Lebanon, Littleton, Nashua and Portsmouth also host classes and offer academic services. 179 Longwood Ave., Boston, Mass. The MCPHS University’s Office of Continuing Education provides high-quality activities to pharmacists and other healthcare professionals with the goal of enhancing knowledge, improving competence and promoting lifelong learning to positively impact patient outcomes. 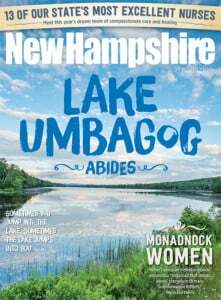 Northeast Catholic College is set on 135 acres on Mount Kearsarge in Warner, NH It is a Catholic liberal arts institution that offers its students an education rooted in the liberal arts and informed by Catholic intellectual traditions. It is recognized as a Catholic college by the Diocese of New Hampshire and serves students from New England and across the US. Northeast Catholic College also welcomes transfer and international students. The college has a rolling admissions process. There are no specific admissions deadlines. Granite State College is one of the four institutions of the University System of New Hampshire. The school’s primary mission is to serve as the system’s statewide college for adults, in addition to being New Hampshire’s leader in delivering online education. Granite State College offers associate, bachelor’s and master’s degrees, post-baccalaureate programs for teacher education, transfer opportunities, and online degree programs. By offering degree programs in high-demand fields combined with flexible scheduling, Granite State College makes it possible to balance the responsibilities of work and/or family while earning a college degree. It offers academic centers located throughout the state, student-centered advising, credit for prior learning and convenient class schedules. With seven main campuses and three academic centers across the state, New Hampshire’s community colleges offer locations that are convenient, affordable programs that appeal to a wide variety of interests, online and on-campus courses, and credits that are transferable to four-year colleges. Students can enter two-year associate degree programs and short-term certificate programs that lead to highly skilled and high-demand jobs. The seven colleges, listed below, offer high-quality programs and a vibrant campus experience in a setting where student success is the priority. White Mountains Community College has a main campus in Berlin, an Academic Center in Littleton, and courses that run in Conway as well as online, making it accessible to all students in the North Country Region. WMCC is preparing students for 21st-century job opportunities as well as transfer pathways to four-year colleges and universities. At WMCC, students will experience various methods of classroom, lab and online instruction. While some courses are lecture-based, others subscribe to a performance-based, student-directed learning philosophy. This approach specifies the knowledge and skills required for graduates to perform competently and confidently in a rapidly changing economy and society. WMCC offers 22 Associate Degree Programs and 31 Certificate Programs. Nashua Community College provides quality, rigorous higher education programs focused on the diverse needs of students and the community. Founded in 1970, NCC serves more than 2,200 students of all ages and backgrounds, helping them to secure jobs in their fields of study, or achieve continued academic success by transferring to a four-year institution. NCC offers 37 Associate Degree Programs and 23 Certificate Programs, attracting talented students and faculty members alike. To ensure that students have access to a top-notch learning environment, the college has undergone several additions and expansions in recent years. The vision of Great Bay Community College is to build and sustain the best science, technology, career and transfer-oriented community college in New England. GBCC promotes economic development through community engagement and workforce development for the region. The second campus, the Advanced Technology & Academic Center located in Rochester, also delivers traditional academic programs as well as programs in Advanced Composites Manufacturing. The opening of the 20,000-square-foot Student Success Center allows GBCC to continue to promote success by engaging students in the life of the college and by integrating curricular and co-curricular programs. GBCC offers 25 Associate Degree Programs and 24 Certificate Programs. Lakes Region Community offers associate degree programs in fields such as Marine Technology, Nursing, Energy Services, Media Arts, Culinary Arts, Business and Health Information Technology, as well as close to 40 Certificate Programs. The Fire Science program at LRCC is the second-largest in the country. The Automotive Technology program, with options for training as a General Motors Certified Technician or in General Automotive Technology was started in 1991 and will soon be housed in a new $3.3 million Automotive Technology building. Also soon to open are LRCC’s new student apartments which will provide students a richer campus experience. LRCC offers 28 Associate Degree Programs and 35 Certificate Programs. Founded in 1945, Manchester Community College just celebrated its 70th anniversary. Originally a trade school for veterans returning from World War II, today MCC offers more than 60 Associate Degree and Certificate Programs including: Art and Design; Automotive Technology; Business; Computer Science; Construction Technologies (includes Electrical Technology, HVAC and Welding); Education; Healthcare and Wellness; Liberal Arts; and STEM. MCC partners with businesses and non-profits in the Greater Manchester area to broaden opportunities for experiential learning for students. They participate in internships (paid and unpaid), co-ops, clinical rotations and service-learning projects. NHTI opened in 1965 and is situated in south central New Hampshire in the capital city of Concord. The college has grown from three engineering technology programs to a comprehensive community college with more than 80 academic programs, residence halls and full campus life. It is the largest community college in New Hampshire. NHTI has approximately 100 full-time faculty and 200 adjunct faculty and the typical class size is 15 to 25 students. It has have approximately 5,000 students taking classes in day, evening, hybrid and online formats, and in both 16- and 8-week sessions. The student body is about 44% men and 56% women. NHTI has more than 30 student clubs and organizations, and excellent intercollegiate athletic teams competing in a variety of sports. NHTI is fully accredited by the NEASC Commission on Higher Education, and prepares students to both move directly into career-oriented employment or to transfer to 4-year colleges and universities. River Valley has a main campus in Claremont, and academic centers in Keene and Lebanon. The main campus sits on 180 acres, two miles north of downtown Claremont and within easy access of I-91. The setting provides the enjoyment of a rural existence and is still within easy reach of cultural, business and shopping centers. Students in over 40 career-oriented programs gain highly specialized skills and knowledge necessary to confidently and successfully enter the job market in a number of technical, business and health-oriented fields. The college partners with local industry, business, service and health organizations to meet their changing needs. RVCC offers 23 Associate Degree Programs and 18 Certificate Programs.